Wiltshire Council has just been awarded (on the 18th March 2019) £86,956 share of £9.75m from the Government to back their efforts in cleaning up our high streets and town centres. The money is a ‘one off’ spend for cleansing in March and April of this year. The funding is to support campaigns such as Keep Britain Tidy’s Great British Spring Clean campaign running from 22 March to 23 April and National High Street Perfect Day, a new community-led clean-up day to help make our high streets look their very best. Wiltshire Council is looking to work in partnership with existing community groups to use the one-off funding to support volunteers in March and April. The council will supply groups with tools such as litter pickers, gloves and brushes etc. 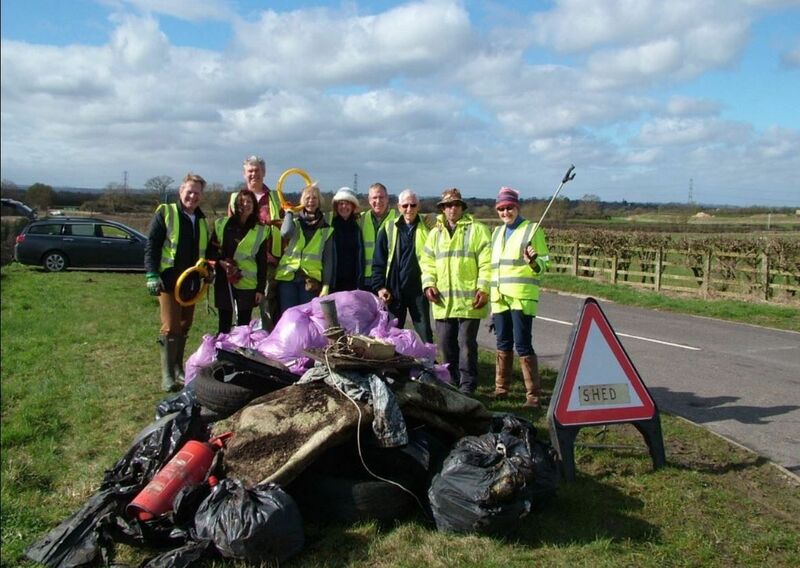 where a volunteer community group is undertaking a cleansing activity in March or April. The council is purchasing a considerable stock of litter picking equipment to give to community groups to own. However, the stock will be limited and once issued on a first come first serve award, the opportunity will no-longer be available. Wiltshire Council, and it service delegated partner town councils of Salisbury City Council, Devizes Town Council and Chippenham Town Council will run cleaning events in town centres throughout April through its Street Cleansing Contract to support the community in their cleaning efforts. There is also the opportunity for the council to collect a limited amount of waste collected from your event. • Be undertaking a clean-up event in March or April of this year (this is not limited to the towns and can be village and rural areas). • Provide the council with details and photos of the event after it has taken place and suppled these to the council by the end of April 2019 (as we have to feedback the work to Central Government). • Contact the council @ StreetScene@wiltshire.gov.uk with the equipment you require or to discuss waste collection. • Be able to collect the equipment from the council’s depot at Kennet House, Sergeant Rogers Way, Hopton Industrial Estate, London road, Devizes, Wilts.